In its yore days, the Samurai country of Japan tried to conquer the world with warfare. Today it is doing the same thing with its awe-inspiring technology, amazing cultural heritage and winning the hearts of the people who visit there. Although it may seem to be a small country when compared to its neighboring nations of China and Russia, it actually isn't. You can take a one or two hour ride from someplace and land in a completely different place with its own culture and some delicious food. 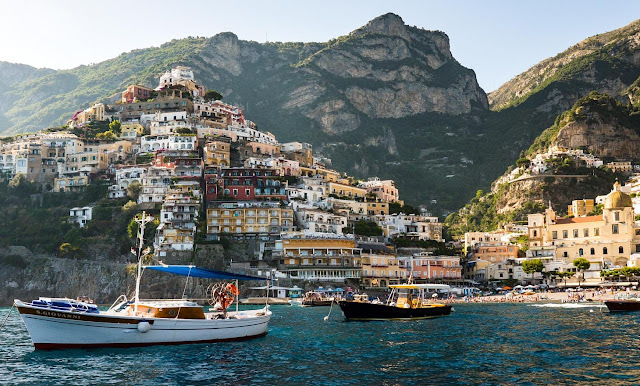 With so many destinations to choose from and so much info available on the internet, it is really difficult to narrow down your bucket list to a few. But don't worry, cause I have done it for you. 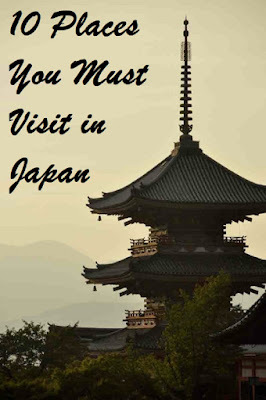 Here are some of the MUST VISIT PLACES IN JAPAN. So let's get started. 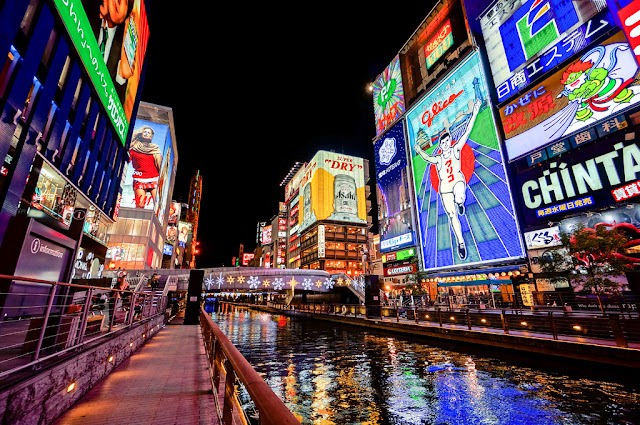 Tokyo, the capital city of Japan is the first thing on everyone wants to visit in Japan. And well it should be. Tokyo offers seemingly unlimited choices for shopping, entertainment, culture, and food to its visitors. You can enjoy the urban rush, visit some of the best museums, historic temples and have fun shopping in its unlimited destinations. Harajuku is the center of Japan's extreme teenage culture and fashion styles. Tashekita Dori is the focal point of this culture lined with many trendy fashion shops, fashion boutiques, used cloth stores and fast food restaurants. It also offers shopping points for adults and some historic sights. If you are a foodie, Tokyo has many places for you as well. The best destination for you is gonna be Tokyo's Tsuta, an average Hole - In - The - Wall, nine-seater, Michelin Star restaurant. It is best known for Japan's most famous dish Ramen, which is a soup dish consisting of noodles in a broth, topped with sliced beef, green onions, and dried seaweed. But make sure you reach here well in advance cause you gonna have to wait for a few hours to get in. You can also have dinner in some themed restaurants. They have some wonderful and weird themes from Alice in Wonderland, Ninja, Alcatraz, and Robots restaurants. If you want to take a look into Japan's history, you can visit the Imperial Palace which is the main residence for the Emperor of Japan. You can also visit the Meiji Shrine, Sensoji (the Largest Buddhist temple in Japan) and Nakamise, which is one of the oldest shopping centers in Japan. In order to grasp the full sheer magnitude of this wonderful city, you need to view it from above. 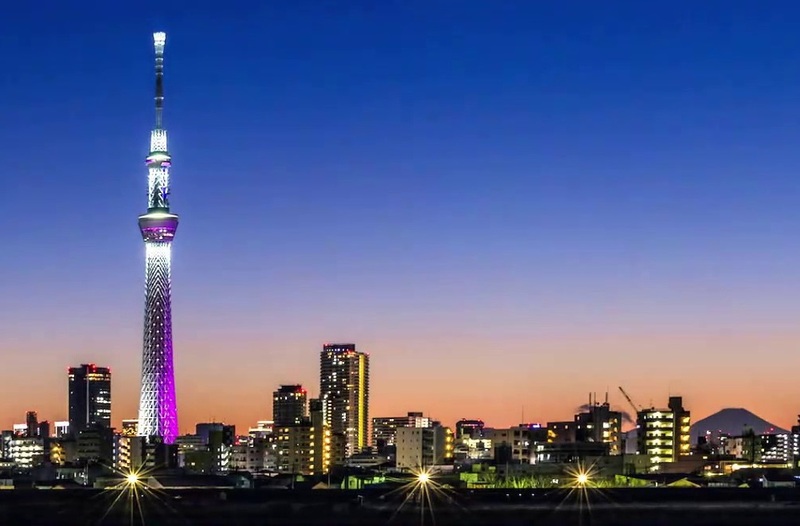 So head on to Tokyo's newest landmark and attraction, the 634 meters tall, Tokyo Skytree, which is the tallest tower in Japan. Get a view of Tokyo's spectacular skyline from its two observation decks, the Tembo Deck and Tembo Gallery. And all my friends out there who love anime and electronic products, there is a special place for you in Tokyo. And it's so amazing, that I have written about it below separately. So keep reading. Kyoto is one of the major cities in Japan and a great tourist destination. 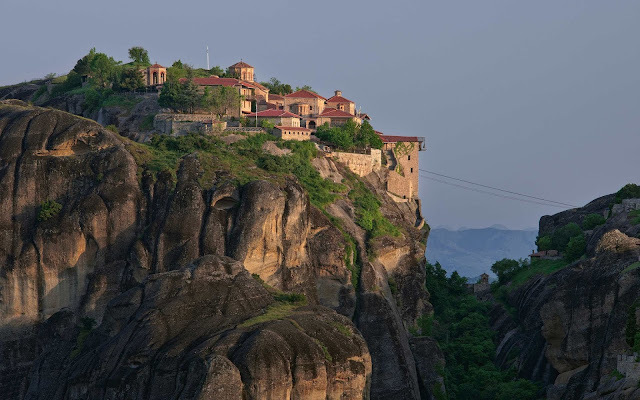 It is home to 14 UNESCO world heritage sites. Kyoto served as the former capital of Japan for more than 1000 years. It is the most historic city in Japan. There are many ancient palaces, temples and cultural hubs, which attract a lot of tourists every year. Due to its rich cultural and historic heritage, this city was also removed from the list of bombing targets prepared by the US Army in World War II. Since we are talking about this historic city lets start with its palaces. There are many palaces and castles and temples which give you a chance to get a glimpse into the history of Japan. 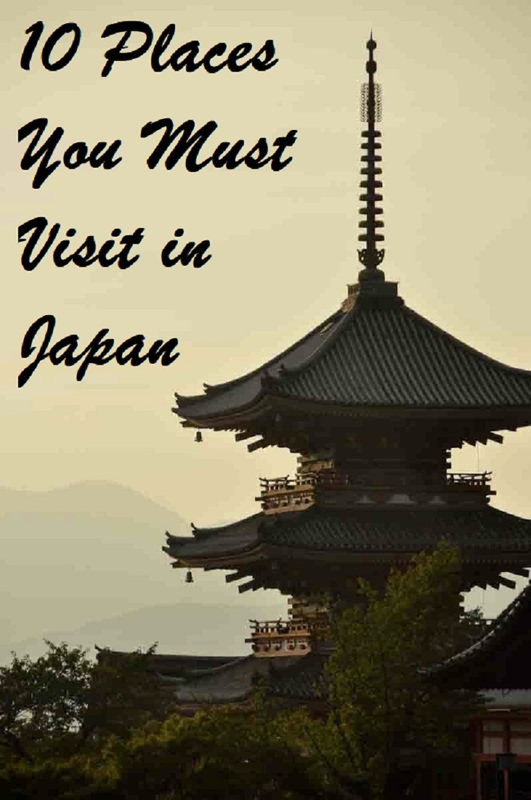 This includes the Kyoto Imperial Palace, Nijo Castle, Katsura Imperial Villa, Fushimi Inari Shrine and Kinkaku-Ji temple. There are so many that I would just keep on naming but the list will never end. 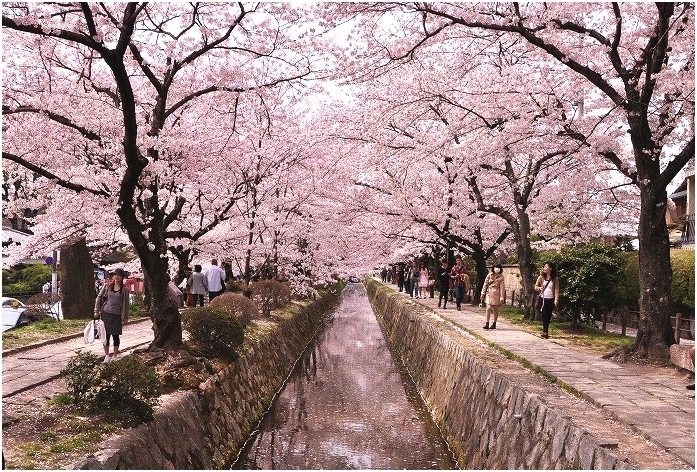 If you are a nature lover take a stroll through the Philosopher's Walk which is a pedestrian path which follows cherry trees lined canal. You can also visit Arashiyama, which is the most famous bamboo forest. You can enjoy your walk through thousands or perhaps millions of bamboo stalks growing straight up in the sky. You can also enjoy some time with the friendly monkeys which there. A trip to Kyoto would be incomplete without experiencing its famous Gion Matsuri, which is an annual festival held for the entire month of July. It is known for its Grand Parade and floats. If you want to enjoy some local food but not spend much, you can always visit the Nishiki Market. There are more than 100 shops and restaurants fresh specialize in fresh seafood, tea, and local Kyoto delicacies. This market was started back in 1310. Osaka was the first city in Japan which was opened for foreign trade. That makes this city one of the major tourist destinations. It has a unique blend of ancient Japanese and western culture. Here you can enjoy the historic sights and beautiful culture along with amazing nightlife. The people in Osaka are also open, brash and funny. The Osaka Castle is the main identity of Osaka. It was built in 16th century by Toyotomi Hideyoshi. The highlights of the castle include five-story, a 42m tall main tower which contains exhibits on the history of the castle and the city. The Wall also provides great views of Osaka from its upper floors. You can also dress like a samurai and get some great pics for your Instagram profile. They say that The food in Osaka is worth going Bankrupt for. Okonomiyaki is undoubtedly Osaka's most popular dish. The other things you can try here include kitsune udon(thick noodle soup blanketed with fried tofu) and hakozushi(sushi pressed flat in a bamboo box; an edible tapestry). You can also try Takoyaki which is a ball-shaped octopus fritter. If you love shopping, then Osaka has many places just designed for you. The best among them are Shinsaibashi and Dotonbari. These two places are Osaka's premier shopping centers located side by side. Shinsaibashi is approximately 600 m long and it combines retails chain stores and some trendy boutiques. This is a perfect place to fulfill all your shopping needs. Dotonbari is also filled with a number of shopping domains and amusement facilities. It is also often selected as a scene in movies as a symbol of Osaka. The other places that you can visit are Umeda Sky Building, Osaka Aquarium Kaiyuakan, museums and the Tempozan Ferris Wheel. 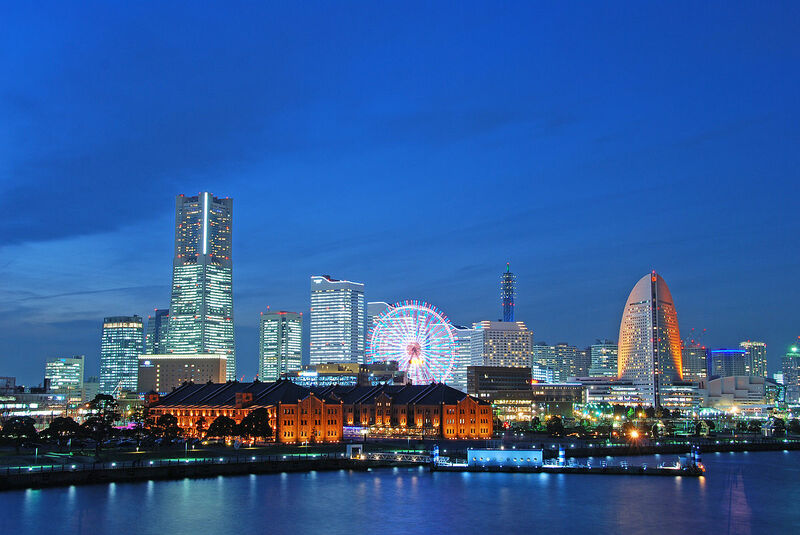 Yokohama is one of the most internationalized areas in Japan. It is known for its picturesque sights, bayside attractions, hilly neighborhood and a mix of architectural styles. It is this lovely city where everything takes place when Tokyo is asleep. The major attraction of the city is the Chinatown. Yokohama Chinatown is one of the biggest in the world. It is more than 150 years old. You can walk down the streets and view temples and tourist shops. And anytime you feel hungry, you can enjoy traditional Chinese food from more than 100 restaurants here. You can find all sorts of Chinese goods here ranging from clothes to handicrafts. Minato Mira is Yokohama's central hub for everything from business to shopping and tourism. Minato Mira literally meaning 'Future Port' is famous for the iconic Yokohama skyline. There are many places to visit here like Nipponmaru Museum Ship, Ferris Wheel and Cosmo Clock 21. Sankeien Garden is another beautiful place from south of Yokohama and known for its historical buildings. It features ponds, streams and winding paths which make it perfect to have a relaxing and peaceful day out. There are also food museums in Yokohama. The most known among them are Cup Noodles Museum and Shin Yokohama Ramen Museum. 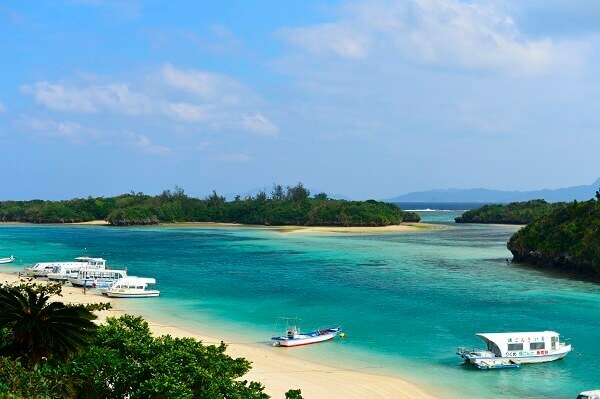 Ishigaki is home to some of the best beaches. Due to frequent flights from domestic and international locations, Ishigaki is becoming the most visited spot in Okinawa Prefecture. It is the best place to enjoy natural beauty in its all forms. 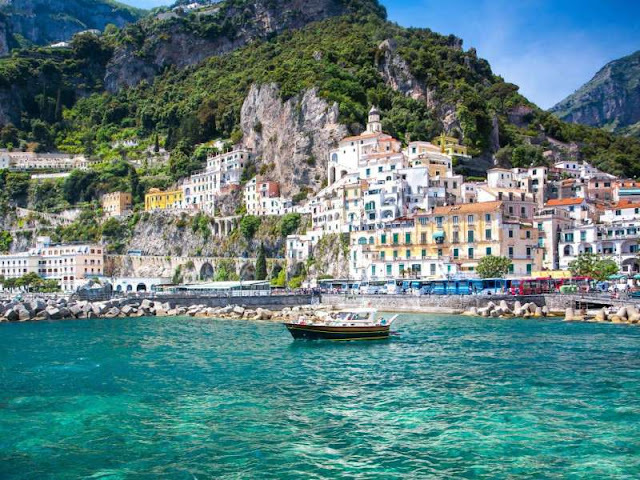 From natural rock formation and caves to beautiful beaches, from enjoying coral reefs underwater to the beautiful view of the night sky full of stars. Some of the best beaches include Yonehara Beach, Shiraho Beach, Sunset Beach, Sukuji Beach and Kabira Bay. You can relax here, take a dip in water, have a sunbath and enjoy a beautiful sunset and some stunning sceneries in Japan. You can also visit Sabitci Caves and Ishimakijima Caves and view amazing stalactites and stalagmites. These caves were earlier used as a fridge and were used for salting pork and preserving it. Ishigaki is a good place to enjoy some outdoor activities like snorkeling, hiking, and kayaking. Besides you can also visit some sights like Torinji Temple, Mirayadunchi, and Cape Hirakubozaki Lighthouse. This city is also known as 'Small Kyoto' because of a similar atmosphere. Kanazawa is also known for well preserved Samurai and Geisha districts. The city boasts many historical attractions such as preserved residencies and districts which escaped destruction due to air raids in World War II. The major unchallenged attraction in Kanazawa is the Kenrokuen Garden, which is among 3 Must Visit Landscape Gardens in Japan. It was designed by Kaga Hanshu and it took almost 180 years to complete this garden. It is a great place to see man-made beauty and nature exist in remarkable harmony. The Symbol of Kanazawa, The Kanazawa Castle was built over 400 years ago for Lord Maeda Toshiie. Although the original castle was repeatedly burned down by fire and was rebuilt. 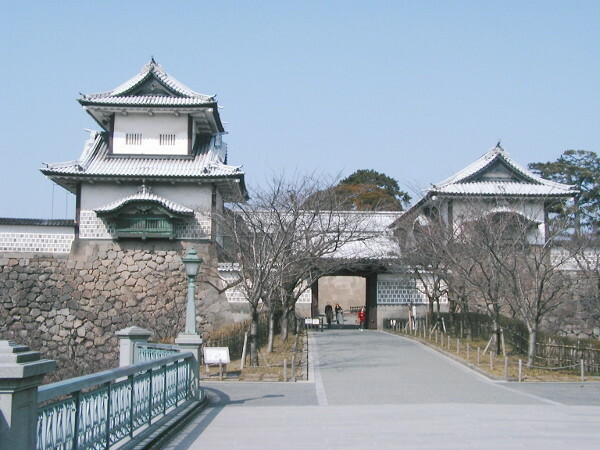 Now the castle is regarded as an important cultural asset in Japan. There are 3 famous Chaya(Japanese Tea House) Districts in Kanazawa and Higashi Chaya District is the largest and the most interesting among them. It is a great place to enjoy feasts and traditional Japanese performances like Japanese dance and live performances of Japanese instruments. The other places you can visit here include 21st Century Museum of Contemporary Art, Kanazawa Railway Station, Nagamachi Bukeyashiki, Ninja Temple and Omicho Market. 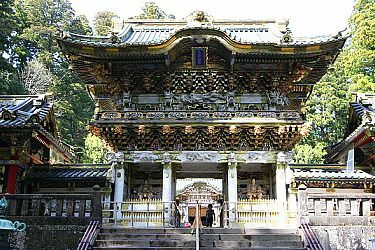 Nikko is one of the most popular day trip destinations from Tokyo. It is just 2 hours from Tokyo by train and is filled with many things to do. People come here to escape from the busy life in Tokyo and to go back in time and experience nature closely. The main destination from Nikko is the Toshugo Shrine, which is the burial place of Tokugawa Ieyasu. It comprises of grand monuments and structures adorned with intricate carvings inspired by religious beliefs and philosophy. The lush cedar tree forest that surrounds it adds to its beauty. Nikko Edo Wonderland is a theme park which depicts life back in the time of Samurais and Ninjas. You can see different townscapes from Edo period, eat the popular dishes from that era, dress up like a ninja or a Samurai and enjoy a host of performances from that era. Kids can also sign up for Ninja training. Nikko is also famous for its hot - springs where you can just rest and relax. There is also a free hot-spring footbath called 'Annyo-no-yu' in the middle of town Okunikko which is said to be effective against Rheumatism and nerve pains. The other places to visit include a whole bunch of temples and Shrines and some waterfalls like Ryuzu-no-Taki and Kegon Falls. 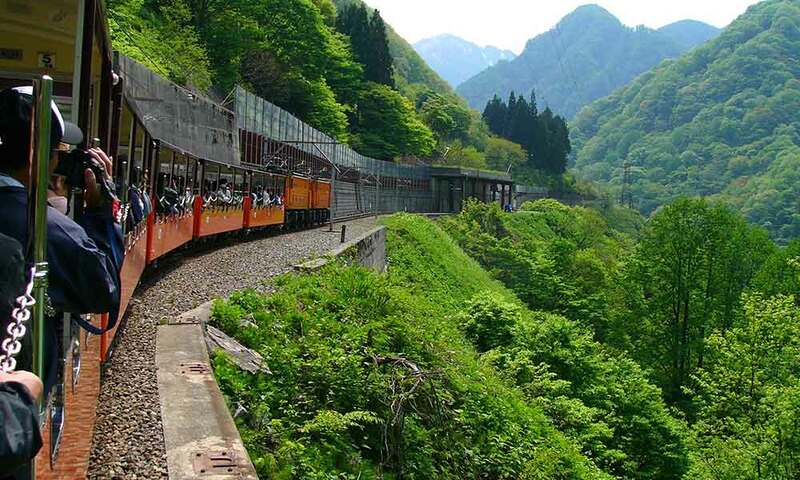 Located in Gifu Prefecture, Takayama is one of the most picturesque destinations in Japan. Takayama is the heart of Japan's inland culture. The small town is surrounded by fantastic nature where you can experience best of Japan's olden day traditions and also some amazing food. You can't you have visited Takayama without being to Sanmachi Dori(street). 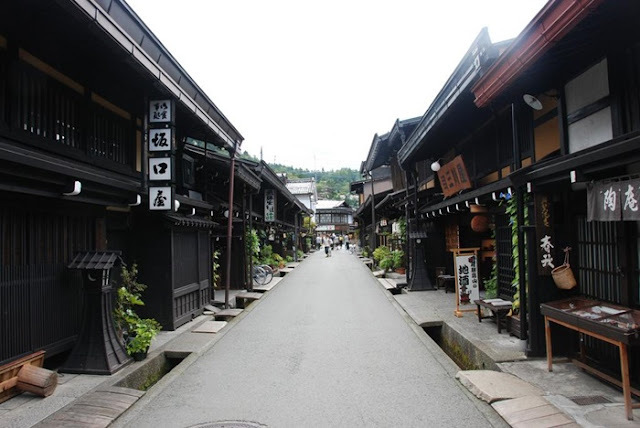 It is just 10 mins walk from Takayama Station and is one of the most well preserved old Japanese style streets. There are a variety of shops and restaurants serving traditional food such as Senbei, Japanese rice crackers, and Sarubobo. The Shirakawago village is one of the UNESCO world heritage sites here. This village is characterized by its tall pointed roofs and is the best place to the cultures and traditions of Takayama and its beautiful nature. In winter, Shirakawago is lit up at night and it creates an extremely dreamy atmosphere. There are many ways you can explore the beautiful nature of Takayama. You can go hiking to Mount Norikura, take a ropeway ride at Shinhodaka or walk through a million years through the Hida Great Limestone Caves. This district of Tokyo can be called as "Heaven" for fans of modern Japanese Culture. Akihabara is also known as the Electronic Town and is a shopping heaven for all geek hobbies like manga, video games and certain genres of anime. This is also perfect to look to for any electronic products you need. Just name it and you can find it here. There are limitless things for you to see and experience in Akihabara. Japan is very famous for its arcade game cultures, which are basically games centers where you can play almost all the coin games for 100 yens per round. You can play games from all genres like action, gambling, sports and UFO catcher. The most recommended arcades in Akihabara are SEGA and Taito's Hey. 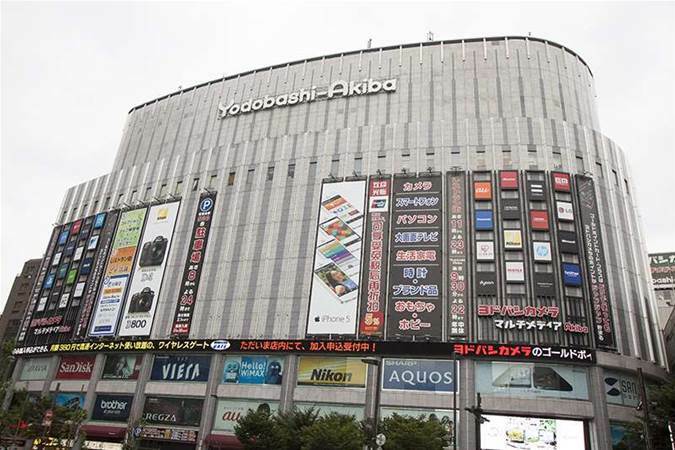 If you like to shop for electronic goods, you should go to Yodobashi which is one of the biggest buildings of electronic products. You can find almost anything and get almost everything here. You can find some cool gadgets, mobile techs, and accessories, cameras and computers, they have got everything here. Anime lovers, don't forget to visit Tokyo Anime Center located on the 4th floor of UDX building of Akihabara and hosts exhibitions and events related to anime. It also has a shop that sells toys and stationery related to anime manga characters. You can also visit the anime goods shop, the Mandrake, which is an eight-floor shop selling everything about anime, TV superheroes, characters, mascots and manga comics. The other unique culture you should experience in Akihabara is Maid Cafes. These are themed cafe shops with waiters and waitresses dressed as butlers and maids and customers being their masters. 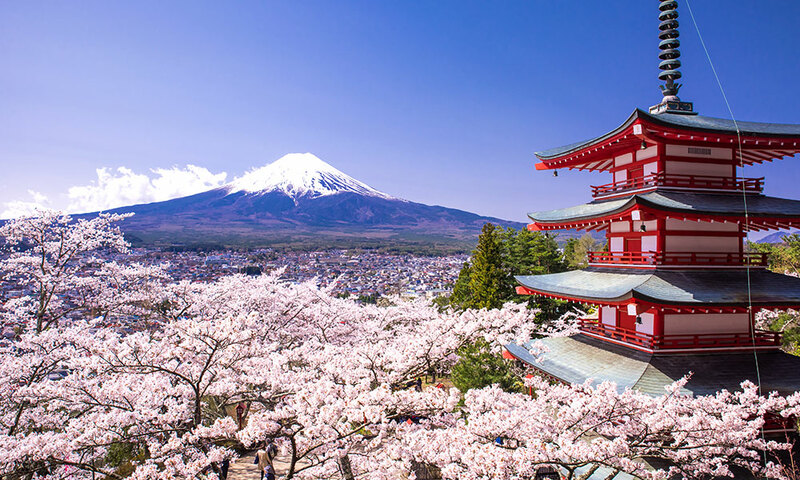 Located at the foot of Mount Fuji, Hakone is a great travel destination famous for its onsen(hot springs) and magnificent views of Mount Fuji. Treat yourself with the beautiful views in many different ways: onboard the Hakone sightseeing cruise, from the shores of Lake Ashi, from Hakone ropeway or while bathing in a hot spring. Besides this, you can also take a look at some ancient temples and shrines like the Choan Ji temple, Hakone Motomiya Shrine, Hakone Shrine and Hakone Castle. So, I hope, that I have helped you to some extent although not completely in planning your Japan tour. If you like, share it with your friends with whom you would like to visit this beautiful country and experience its rich culture and well-preserved history. This brings us to the end of our Japan tour. If you have not yet read my previous posts on Japan, I have placed the link for them below. For our next country, we are gonna go to Europe. Its gonna be the country which is home to the second most romantic city in the world after Paris. If you have guessed it, do mention it in the comments below. Make sure you subscribe to my blog so that you don't miss any exciting posts going forward.